Two of my audiobooks released in December. Threats, a missing boss, a very dead co-worker, a high-level investigation, and a sinister hog farmer… Someone wants to make sure she buys the farm. 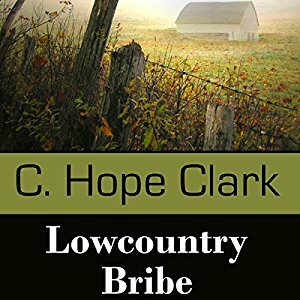 In Lowcountry Bribe, Carolina Slade is a by-the-book manager for the Dept. of Agriculture. A farmer offers her a bribe, and she decides to do the right thing — report it. Soon, her life and those of her children are in danger. As a former career federal employee, I wanted to narrate this book from the moment I saw it. I had great empathy with the main character, and I was surprised by the strong emotions that I felt in many of the scenes. 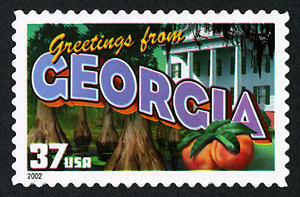 I also thought the rural setting was a refreshing change from books about city-dwellers. In fact, the author discussed the country setting in an article titled “We Murder in the Country, Too”, which you may find interesting reading. 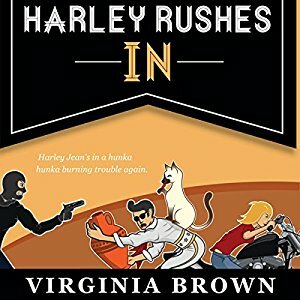 Part-time tour guide and part-time amateur sleuth Harley Jean Davidson is back with another crime to solve. Her Aunt Darcy owns a furniture store and is convinced her partner is smuggling priceless artifacts…until Harley finds him hanging from elk antlers in the shop. It’s a light-hearted, fun, cozy mystery.